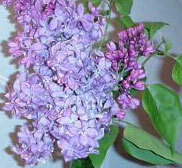 Lilacs are a lovely, scented, flowering garden shrub. On occasion we need to relocate a bush or transplant some of those free little suckers growing in the shade of the parent plant. This is a guide about transplanting lilac bushes. Decide where you want to transplant the lilac bush or bushes. Dig a hole that's about one foot deep by one foot across for each bush you want to transplant. Dig up a lilac shoot from somewhere around the main bush. Lilacs spread by runners. Use a shovel to dig up the shoot because you are going to have to cut off the runner, and a trowel will not be tough enough to do the job. Choose a shoot that is approximately 8 to 14 inches high. Smaller shoots that are only a few inches high will take a very long time to mature to the point where they will have flowers. Larger shoots seem to take a longer time to recover from being transplanted before they start to grow well. Do not worry about how much root you are getting with the shoot. You will not be able to take all of the root since the roots are all connected. Put the shoot in a bucket of water if you are not going to transplant it immediately so that it will not dry out. If you are going to transplant it immediately, carry it to the hole you have dug and set it in the hole. Center the shoot in the hole and fill in with dirt. Leave a three or four inch depression around the shoot so you will have a reservoir for water. Water your new lilac bush with a couple of gallons of water. Continue watering the bush several times a week for the rest of the season to ensure that it has a good start. From what I have observed, lilacs seem to be quite drought resistant, although like any plant, tree or bush, they will grow more if they have plenty of water. In subsequent years, water your new lilac bush from time to time, especially if rain is in short supply. Note: I have noticed that it takes 4 or 5 years for the new bushes to grow enough to start producing flowers, although bushes that I transplanted from small shoots only a few inches high are taking longer than that. Have you directed your question to someone who works at a nursery? They would probably be able to tell you how to uplift adult shrubbery. I've always lifted starters in the Springtime to replant just because they will get the spring rain to help roots seal in the soil and they won't bloom until much taller. You might try doing this too just to make sure you have surviving plants. I transplanted three lilac saplings recently to a location in my front yard. I gave them a good dose of Miracle-Gro and set them into holes filled with top soil. They are spindly, about 4-5 inches high. Should I trim them down? Did I replant at the wrong time? It is now one week after and they do not seem vibrant. What to do if anything? I had a real problem in trying to grow a lilac bush in my yard. My neighbor next door had a thriving lilac bush, and I never had any success. It might have been due to the bad soil around our home. I found some information that might help you. They are probably a little shocked. Just make sure you water them every couple days. If the drainage in good and wait for them to grow 'feet'. I think they'll be fine. Don't expect much this year. Question: When is the best time to transplant Lilac Bushes? When is the best time to transplant Lilac Bushes? These are young small bushes. Lilacs are very hardy. Best to wait until after it has flowered and finished. When digging it up, try to leave a good "ball" of soil around the roots of the lilac, and make sure the new hole is roomy enough to place it in. When you have backfilled the hole, healed in the lilac, water really well, and water daily for 2 weeks. Your lilac should be just fine. Good luck and happy gardening. I'm in WI too You've actually missed the prime time for moving lilacs this spring. Oct. would be the next time for 'by-the-book' transplanting. But, nothing ventured, nothing gained! You may wish to try what the previous poster recommended. Good luck with your lilacs! I have a two year old Lilac bush. Last year it developed white mold. I sprayed it with mold killer from the store. This year not a leaf or a bloom, but I broke a thin branch and it still looks like it has some life. What should I do? Any help? You may want to feed them plant food with acid in it,like twice a week then once a month for about3or4months.Then next year they may do something.But you may want to do this A.S.A.P. Good luck I hope you did not kill the roots. I had it too and took a branch to a nursery. They told me it was insects and I sprayed it with dish hand detergent mixed with a little water. I sprayed it liberally. Now in full bloom and nothing white on branches. If it occurs again I will spray again. It happened two years in a row after blooming season. No plants around it had the white stuff ever. 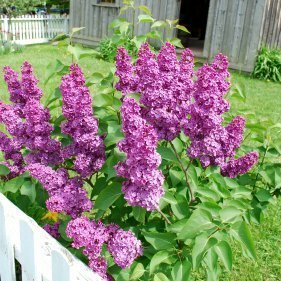 When is the best time to transplant a small lilac bush that has not bloomed yet? It has four separate shoots about three feet tall. In zone 7 where I live I usually transplant in very early Spring. I am transplanting a small lilac bush. Would it improve the chances of it growing if I used rooting hormone? I am transplanting the lilac into gardening soil and compost mix, around the root ball. The hole is twice as wide and twice as deep as the root ball. Any help would be appreciated. Thank for your time and trouble! Rule of thumb is what blooms in the Spring, plant in the Fall and what blooms in the Fall, plant in the Spring. I have had luck in transplanting bushes outside the rule of thumb as long as a lot of the dirt was left around the root system and watered well after planting. If your lilac start is tiny and no soil around the root, I'd dip it in root hormone, plant in a pot, set it outdoors and bring indoors over the winter and plant next Spring. Question: When Do I Transplant Lilacs? When is the best time to transplant a lilac bush or get starts from it? The best time to do this is right after they stop blooming. If the plant is large, you usually will see small runners on the grown around them, I have dug them up and replanted. It might take a year or so before a new plant takes hold. I want to move a lilac bush because it is too close to the house and is causing a problem. How can I do this? 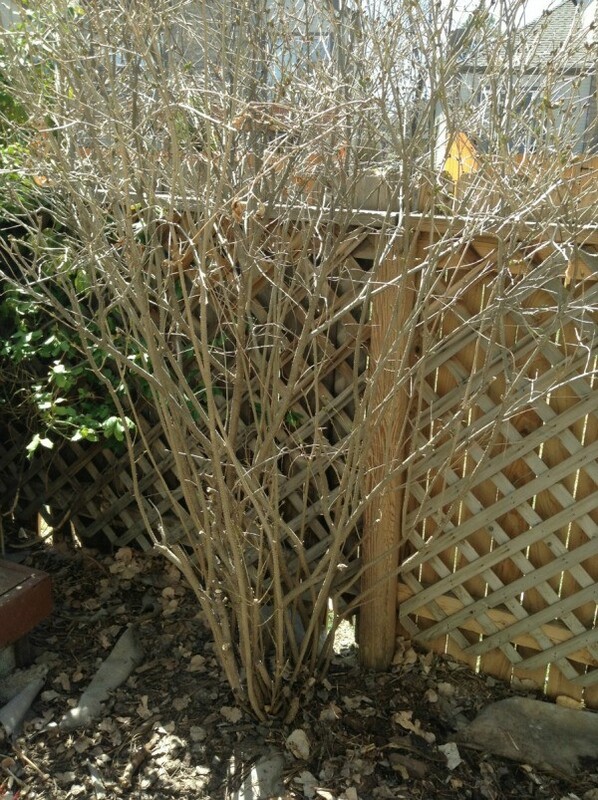 When is the best time to move this lilac without losing it? It is kind of big, maybe 5 to 6 years old. Thank you. Is it the roots causing problems or is rubbing against the side of the house? If it is just rubbing against the house I would trim the branches instead of moving it. You would probably take an awful lot of digging to move it without damaging the roots. When we moved here a year ago, a structural engineer said the 4 large old lilac bushes are too close to the foundation of the house and are causing problems. All are at least 10 ft high. One has so many shoots it is about 4 ft wide at ground level. We cut it back severely (to about 3 ft) a year ago and it shot up like mad all summer, but no blooms of course. Two are very scraggly and only had a few purple blooms. I pruned them this fall. The 4th one bloomed a little better, but is much taller, reaching over the eaves and is a lot less scraggly, but also didn't bloom much. Can we transplant any of them with success? I hate to sacrifice these mature bushes, but wonder if any of them actually have a chance at relocation? Please help. How deep and wide does my container need to be when planting 2 baby lilac bushes? Can they be planted in containers to start with? I have no knowledge. So any answers will help I hope. I have two 8ft tall light purple lilac bushes I'd like to transplant from the southern side of my house to the northern. I was wondering if they will do as well, and when is the best time to move them? We are having 70 degree weather right now and there are tiny green sprouts on the branches. Should I move right away or wait till fall? I have three 4 foot high lilac trees saplings which I want to move into my front yard. They have already started to bud. When is it safe to transplant them? I would also like instructions on how. Is it OK to transplant 3 year old lilac bushes in the winter (January)? They need to be in full sun and I want to be sure it's OK to transplant now? I have lilac bushes along the property line at a rental home and want to transplant some to our home. Can it be done in early fall? Can we transplant the whole bush, not just shoots? I have a small Lilac bush growing near a large well-established one. I'd like to know how deep I need to dig and when to transplant it? Should I start it in a bucket for awhile first? I live in the Midwest near Chicago. I had a neighbour that had to get a ditch dug right through his lilac bushes. His bushes were dug up, then replaced in the same place once the work was completed. They all grew back beautifully. Just make sure they are given enough water and they will be fine. Lilacs are so easy. I transplant them all the time, in fact all the lilacs in the area are from my "mother" lilac. I like doing it in the spring when the ground is wet and muddy. Preferably later afternoon, cloudy weather is OK too. If the next day is going to be yucky even better. Use a regular shovel and dig it out (its not deep, purples tend to send out shoots and that's the babies). I have been known to have 2-3, 5 gallons of roots and wait to transplant (just have water and keep in shade or inside). Decide where you want to transplant it, remember lilacs spread. Stick shovel straight up and down and push and wiggle it back and forth. You should have a slit. Make the slit as big as the root system, drop in the lilac root and stomp it closed. Water and leave it alone.